You do not need conventional medicine when you have nature on your side. 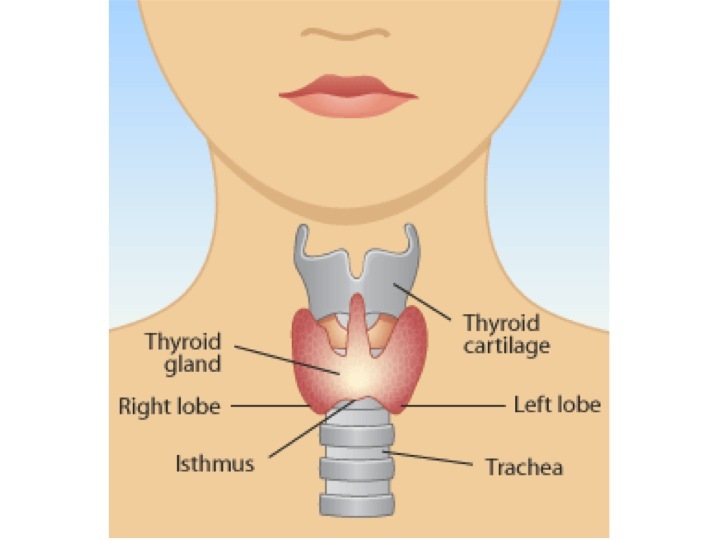 The thyroid gland, a butterfly-shaped gland in the neck, is the main gland for energy and metabolism, it fires up genes and makes sure cells do their job. You can freely consider it as a fundamental mechanism, because every single cell in the body has thyroid hormone receptors. Hypothyroidism refers to low thyroid function. According to many experts, it is a silent epidemic, and individuals many suffer from it for years without receiving any treatment, because conventional medicine does not how to treat it, because the symptoms may be vague or scattered, and there is not even a pill for it. Unfortunately, hypothyroidism is not recognized as a thyroid problem at first. It is often rooted in an immune system gone awry, but doctors usually do not do tests for the antibodies that show autoimmunity. Dr. Datis Kharrazian explains that 90% of all people with hypothyroidism have Hashimoto’s. It is an autoimmune hypothyroid condition, and the immune system attacks thyroid tissue. To treat thyroid diseases or other autoimmune condition, you have to determine the source of the imbalance. However, suppressing symptoms with medications is not the wisest solution. By introducing certain changes into your dietary habits is the first step in treating hypothyroidism. People with hypothyroidism deal with crippling fatigue and brain fog, which requires non-nutritional forms of energy like sugar and caffeine. The terrible twosome burns out the thyroid and destabilizes blood sugar. Reduce the intake of caffeine and sugar, or completely eliminate these “delicacies.” You may also want to cut off refined carbohydrates like flour, because the body treats it like sugar. Eat non-starchy vegetables. Protein carries thyroid hormone to the tissues and regular protein consumption normalizes thyroid function and reverses hypothyroidism. Proteins are contained in nuts and nut butters, quinoa, hormone- and antibiotic-free animal products, like organic and grass-fed meat, eggs, and organic fish, and legumes. Note: Soy and soy products, like tofu, soy milk, fake meat, energy bars, and others, can impede cell receptors and even disrupt the feedback loop in the entire endocrine, or hormonal, system, even when they are organic. Fat works good for us, and cholesterol is the main precursor to hormonal pathways. By getting insufficient fat and good cholesterol you may experience hormonal imbalance, which also includes the thyroid hormones. Consume more natural and healthy fats, like olive oil, ghee, avocado, flax seeds, fish, nuts and nut butter, hormone-and antibiotic-free full fat cheese, yoghurt, and cottage cheese (full fat, not skin), and coconut milk products. Nutritional deficiency may not be the main cause of hypothyroidism, but insufficient intake of certain micronutrients and minerals aggravate the symptoms. Increase the intake of vitamin D, iron, omega-3 fatty acids, selenium, zinc, copper, vitamin A, B vitamins, and iodine. Many believe that hypothyroidism occurs as a result of iodine deficiency, but that is not true. Dr. Kharrazian explains that if you have Hashimoto’s, supplemental iodine will only make things worse, so avoid iodine supplements and iodized salt. Sea vegetables and seafood are the primary sources of iodine. As experts have confirmed, secondary sources are eggs, asparagus, lima beans, mushrooms, spinach, sesame seeds, summer squash, Swiss chard, and garlic. Normal vitamin D level ranges between 50-80ng/mL. Values below 32 contribute to hormonal pathway disruption. Eat more omega-3s. These are contained in fish, grassfed animal product, flaxseeds, and walnuts. Omega-3 fatty acids are the building blocks for the hormones and they control immune function and cell growth. Fatty acids are essential for the thyroid function, and they improve the ability to respond to thyroid hormones and reverse hypothyroidism. The composition of thyroid tissue is identical to that of gluten. If you have Hashimoto’s, that is a case of mistaken identity. Gluten can increase the autoimmune attach on your thyroid gland. Gointrogens are foods that include broccoli, Brussels sprouts, cabbage, cauliflower, kale, kohlrabi, rutabaga, turnips, millet, spinach, strawberries, peaches, watercress, peanuts, radishes, and soybeans. You probably think that you should never eat these foods, but cooking inactivates goitrogenic compounds and if you eat radishes and watercress moderately, there will be no problem. This is a powerful antioxidant and it strengthens the immune system. It is one of the pillars in the fight against Hashimoto’s. Glutathione stimulates your body to modulate and regulate the immune system, dampen autoimmune flare-up, and protect or heal the thyroid tissue. It can significantly reduce hypothyroidism. Few foods contain glutathione, but many other foods help the body to produce it, including: asparagus, broccoli, peaches, avocado, spinach, garlic, squash, grapefruit, and raw eggs. A plant substance contained in broccoli, cauliflower, cabbage (these goitrogens) replenish glutathione stores. Same as when your body attacks the thyroid in presence of Hashimoto’s, your body will also see inflammatory foods as invaders and will sure up the ante on the autoimmune response. About 20% of thyroid function depends on the sufficient supply of healthy intestine bacteria. Probiotics, or friendly intestinal bacteria, are the best way to supplement these. Systemic inflammation and autoimmunity are often associated with hypothyroidism. Thyroid and adrenal glands are tightly connected, meaning that having hypothyroidism is always accompanied with adrenal fatigue. Your thyroid and the adrenal glands are like Frick and Frack, so it is practically impossible to address one without the other. Thyroid gland is sensitive and it is extremely reactive to stress response. As the thyroid is sensitive to radiation, next time you need to get an x-ray, make sure you ask for the thyroid collar. Garlic And Onion Are The Main Reason Why Our Ancestors Lived Up To 100 Years!